What are the new additions to the mCash App? 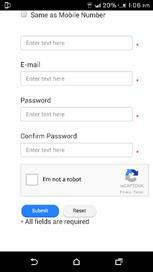 • Addition of a Windows App for Windows mobile users. How does the customer download the app? 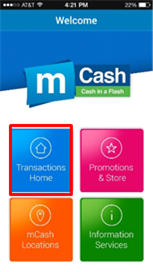 Anyone customer who uses an iOS, Android or a Windows device will now be able to download the mCash Mobile App. What should you do in order to use the app? 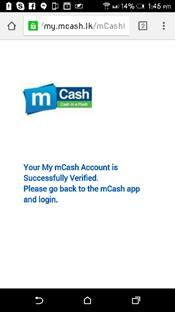 Download the mCash App from respective App Store and install. 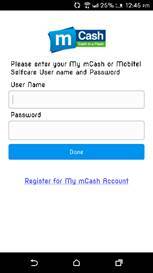 You must be a registered mCash Customer in order to use the app and also you should have a Mobitel Self Care Account or a My mCash Account to login to the mCash App. What should you do if you forget your Username and Password? If you do not have a My mCash Account or a Self Care Account follow the below steps to create one. 1) Load mCash App. and to login and to do the transactions go in to Transaction home. To go in to the login Page. 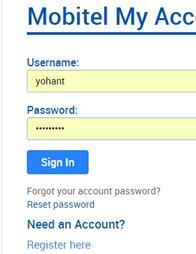 2) If you are not registered click “Register for My mCash Account” which will direct you to the My Account Portal. 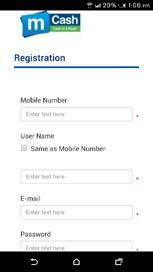 3) Now enter your mCash Mobile Number and other details including a password for you to have access to the system. Then Press “Submit”. 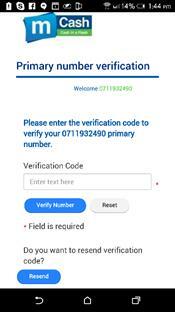 5) Once the mobile number is verified, open the mCash Mobile App and enter your My mCash Username and Password to login to the App. mCash Customers who owns a Smart Phone can easily access all the benefits mCash has to offer such as Faster transaction speeds, ease of use, easy management of mCash Account, Quick access to all mCash Promotions and location tracker.